APN Outdoor has announced the launch of several new sites that will be coming online later this year as part of its goal to have 100 Elite Screens live in 2017. The company’s total number of Elite Screens in the ground stands at 74, with 22 further sites approved and their construction imminent. APN Outdoor’s ‘The Aviator’ Elite Screen at Sydney Airport. Sites that have come online in 2017 to date include a further six in Sydney, five in Melbourne and six in Brisbane, with a mixture of conversions from previously existing static sites, as well as entire new builds in prime locations. Featured sites to be delivered in 2017 include Red Hill, Spring Hill and Southport in Brisbane, Roseville, Lewisham, Maroubra and the M5 in Sydney, the addition of two prestigious panels on the South Eastern Freeway at Toorak in Melbourne, and two iconic displays at Gepps Cross in Adelaide. 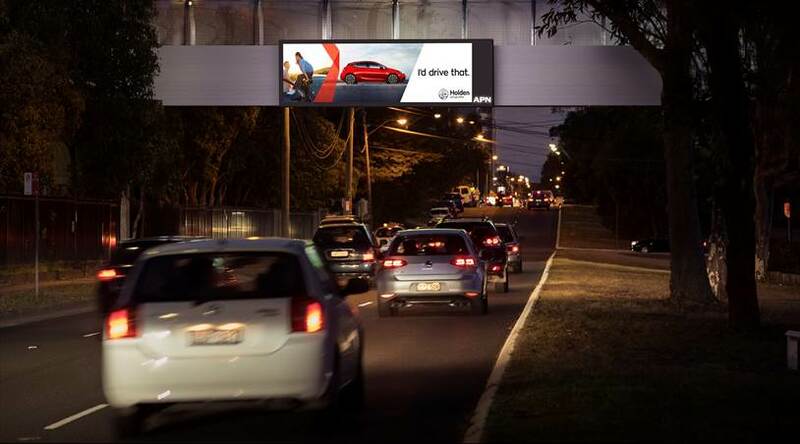 The Super8 Digital conversion that’s soon to be live on Anzac Parade in Sydney. 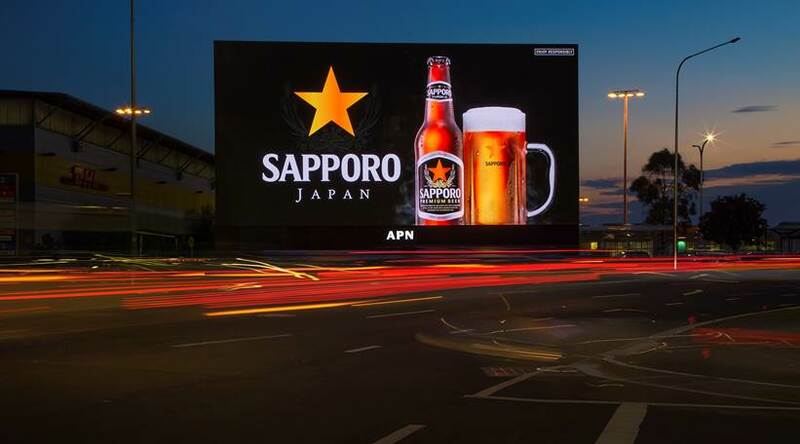 Part of APN Outdoor’s Elite Screen footprint growth is due to its investment in a series of conversions from static Super 8 panels to digital, which will be known as the Digital Super 8s (part of the Elite Screen network). With 11 of these sites currently live and 13 approved for conversion in the coming months, this uniform format is designed to provide opportunities for advertisers looking to leverage digital outdoor. 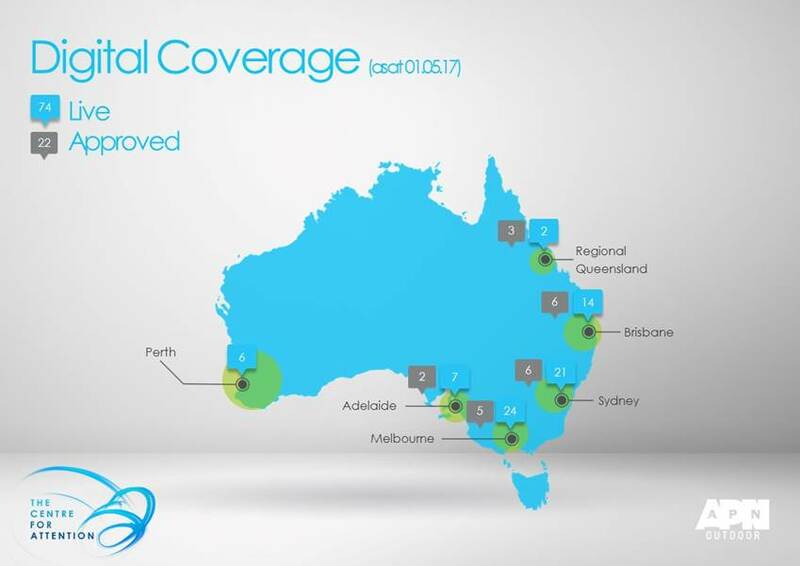 APN Outdoor’s current footprint and approved digital billboard sites in Australia.